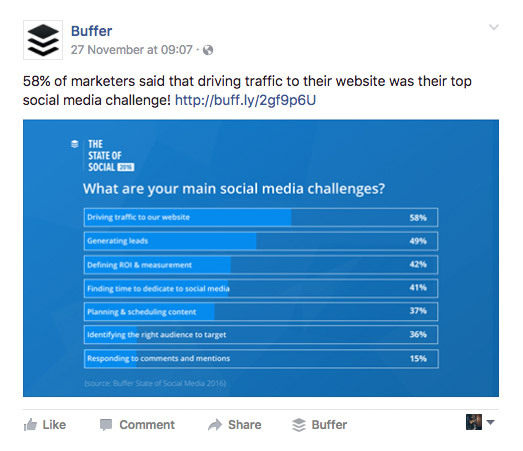 One question every business has on Facebook is "How do I get more Likes?" Though they aren't everything, Likes are a strong representation of how many people your social media marketing efforts reach - and that's a good way to measure your social success. So let's skip the small talk and get right into it: here's 52 strategies and ideas to get more Likes on Facebook! 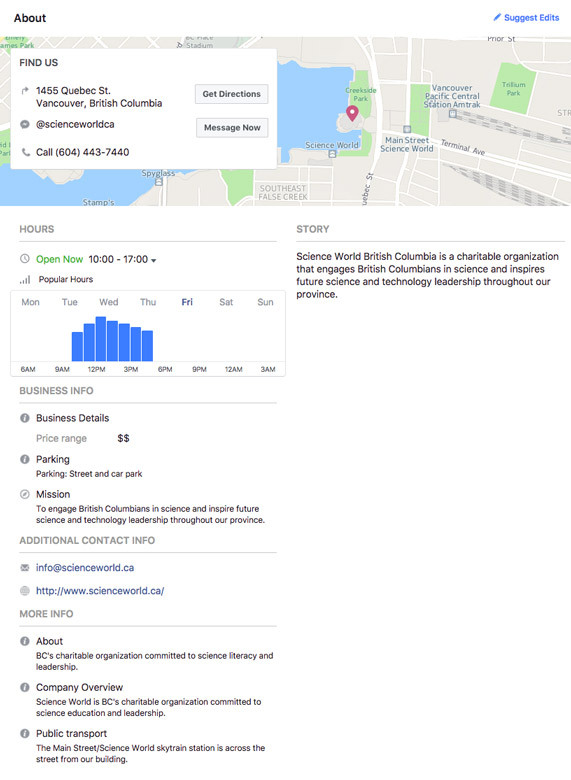 Make sure your Page is up to date so visitors have accurate information on your business. This establishes your Page as a source of credible information and make it easier to direct potential customers to your website or storefront. Your cover photo is the most apparent thing on your Page to visitors - think of it as a virtual storefront or billboard. It’s a great place to inform visitors about sales, promotions, or new products - and you can include more details in the cover photo’s description. Having your employees Like your page does two things. First, if you don’t yet have a large follower base, having more Likes can make a big difference in increasing social proof. Secondly, it increases the likelihood that your content will show up on your employees’ friends’ News Feeds. Though this probably won’t make a huge impact, having your employees put your page into their profile information could help direct their friends to your Page. Embedding your Page or content from your Facebook profile on your high-traffic blog posts allows you to harness your heavyweight traffic drivers and push them towards your Facebook Page to increase your Likes. Send out an email newsletter to your email list with a CTA directing them to your Facebook page. You can help increase conversions by setting an automation action that send an email with a discount code to subscribers who click through your email. 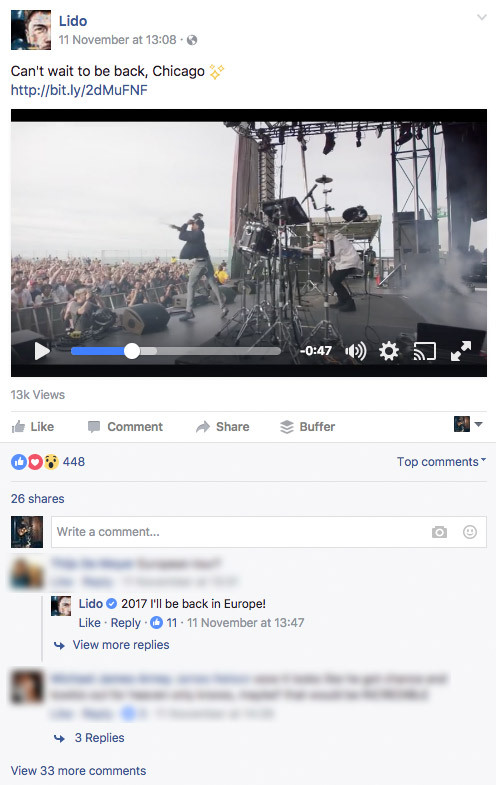 Though you can’t guarantee they Like your page, there’s a good chance they will. Putting a small button or link to your Facebook Page in your email signature can direct some traffic from the people you communicate with to your Facebook Page, which has the potential to help you gather a few Likes, while also showing your business to these people. If someone is already following one of your social accounts like your Instagram or Twitter, there’s a good chance they’ll be willing to Like your Facebook Page as well. Periodically link people from your other platforms to Facebook, either in a post or in your bio. If you have a retail location, make sure you use it to promote your social platforms, including your Facebook Page. Use signage to draw customers to your Page - even offer an in-store discount if they Like it at their time of purchase! Keeping in line with the previous tip, plaster your Facebook URL on your physical materials, such as receipts and materials included in product shipments. A happy customer who’s excited to receive a shipment will be more open to liking your Page. 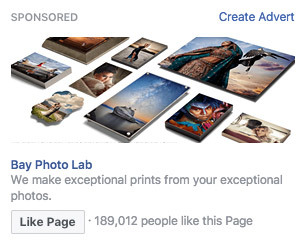 Use Facebook’s Ads platform to promote the content you post to reach people who may be interested in your products. Promoting content can be more engaging than just promoting your Page, as it contains a “hook” (your content) that helps to draw users’ attention. That being said, promoting your Page itself is also an option when using Facebook Ads. 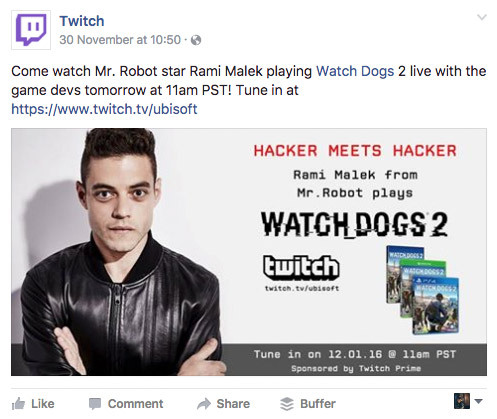 You may want to consider using Facebook’s targeting tools to pinpoint users who are interested in and engaged with the industry you’re in. Targeting Facebook Ads (especially with some enticing offer like a discount) to Facebook users who are engaged with your competitors is a simple way to reach potential customers who you can be certain will be interested in your products. Most of these tips can’t compare to good ol’ high-value content. Providing interesting, engaging, and valuable content to your fans gives them a genuine reason to Like and engage with your Page. Having Facebook fans who are truly interested in the content you share is incredibly valuable as it increases the likelihood that they will become customers in the future. Leveraging different content types is a good method to engage more users. Posting creative videos (think behind-the-scenes content or interesting content about your brand) is a sure way to get people to Like your page. Using new content types is an even better way to engage users. 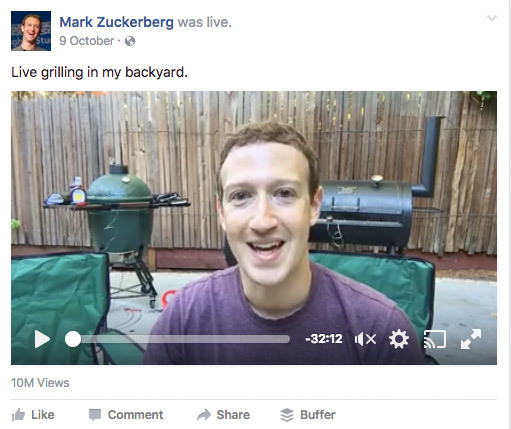 Facebook tends to prioritize newly-released forms of content on its users’ News Feeds, so using Facebook Live (to do something like host a Q&A) will make your content more likely to end up on people’s News Feeds and be engaged with. Posting consistently shows people that your page is “alive” and active. It also helps to keep fans engaging on a more regular basis, increasing the chance that your posts will spread organically. It’s just a good rule of thumb - look to post at least once a day. It’s not always feasible to have someone manage your social platforms every day. That’s why there are tools like Buffer (among others) that allow you to schedule posts for posting in the future. If your marketing efforts are spread thin, you can schedule posts once a week (or a month, even) to go out over the course of several days. Facebook Insights is an incredibly valuable tool you can use to determine the information about the people who engage with your page. Understanding other interests people may have or certain demographics to target can help you hone your content strategy to increase engagement, Ad success, and Likes. Text updates are really a thing of the past when it comes to Facebook content marketing - long gone are the days of the simple status update. Even if you’re planning to post text only, create a graphic to go along with it using an intuitive tool like Canva or Snappa. This helps to spice up your content and makes it stand out on users’ News Feeds. Social media moves quick. Based on habits formed using Twitter, Instagram, and more, social media users are accustomed to scrolling quickly through their feeds to get the lowdown on what’s happening on their social circles. Keep your Facebook posts Tweet-length to maximize the chances people will read and engage with your posts and Like your Page. Stay far away from posting only promotional material about your products. The golden rule is “80/20”, meaning 80% non-promotional and 20% promotional content. Promotional content isn’t great for engagement - it’s not likely to help you generate Likes on your Page. Switching up the types of content you share will help you drive interaction with Facebook users. Infographics are another great type of content because they quickly share a lot of information in a format that’s easily digestible and prone to be shared. People sharing your infographic leads to increased awareness amongst potential customers, who may follow the content to your page. Nothing to be ashamed of - we all run out of content to post, eventually. Look through your past posts, find those that received greater engagement, and repost this content. It’s a way to increase the lifespan of your content and remain on a consistent posting schedule. 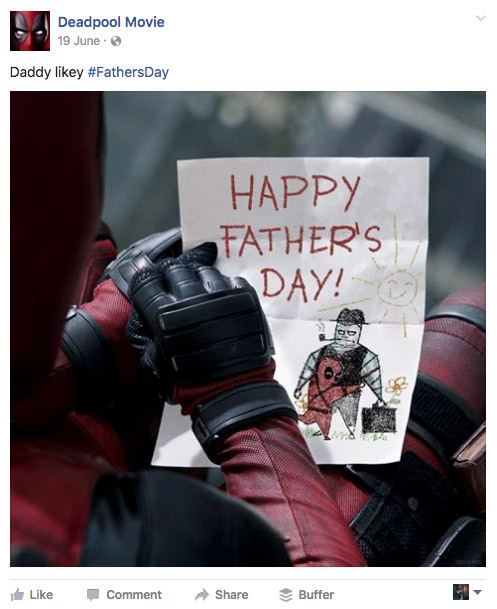 Social media is unique in its ability to give fans a closer and more intimate look at the companies they love. 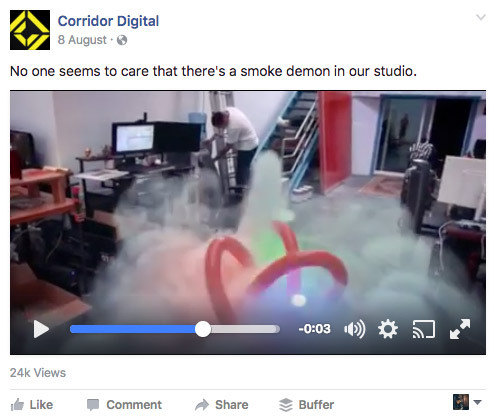 Posting behind-the-scenes content of things like your offices or the making of your latest product is unique content that’s sure to be highly engaging - meaning more Likes. 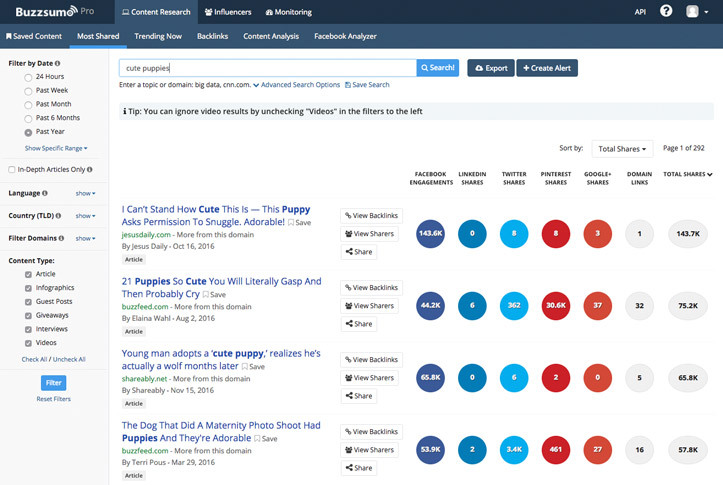 Searching for keywords related to your industry on BuzzSumo will allow you to find content that’s proven to be engaging. 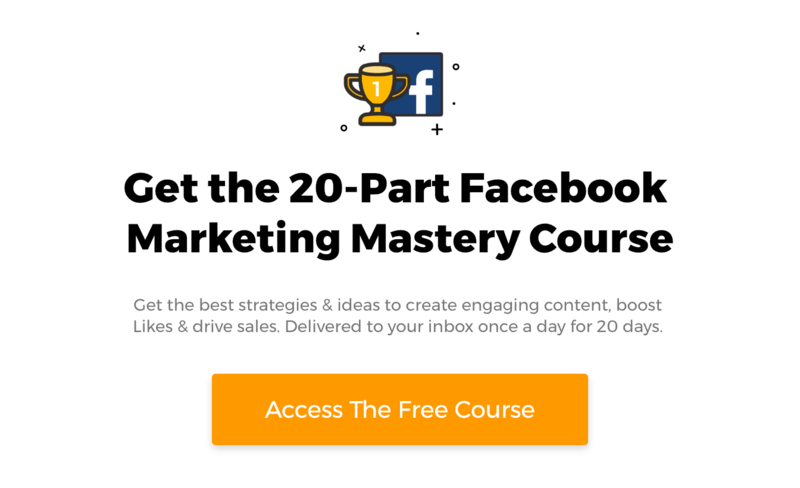 Posting this content on your Facebook Page is an easy way to maintain that 80/20 ratio and share content from other sources with your Facebook fans. Best of all, it doesn’t take much effort! Sharing content related to your business from your fans shows you care about the people who interact with your brand, and is a great way to build your brand. It encourages more fans to create and share more content with you - consider offering a small gift to fans whose posts you share. Capitalizing on trending news is a sure way to drive spikes in engagement. Content relevant to the latest news (e.g. the results of the US Election, or something related to the new Star Wars movie) is particularly shareable because it’s topical - it’s something people are engaging with and discussing, increasing the likelihood they’ll interact with your content. Sometimes, all you need to do is ask. Adding CTAs to some (or all, if you want!) of your content saying something like “don’t forget to Like our Page for the latest updates!” can be all a visitor needs to be persuaded to Like your page. Linking up with influential icons on social media to create posts to be shared on both of your profiles can help you reach previously untapped portions of your target segment. It also provides social proof, which can help potential customers make the decision to join others (and those they admire) in liking your Page. From years of running social contests here at Wishpond, we know they’re arguably the best way to increase engagement and brand awareness. Though you can’t require contest entrants to Like your Page, they’ll probably Like it anyways to stay up-to-date with information on your brand, the contest, and any promotions you’re running. In line with the previous tip, add social sharing buttons on your contest that give participants more chances to win in exchange for sharing the contest on their various social platforms. This spreads word about your contest within their social circles, builds brand awareness, and helps you increase your Like count. 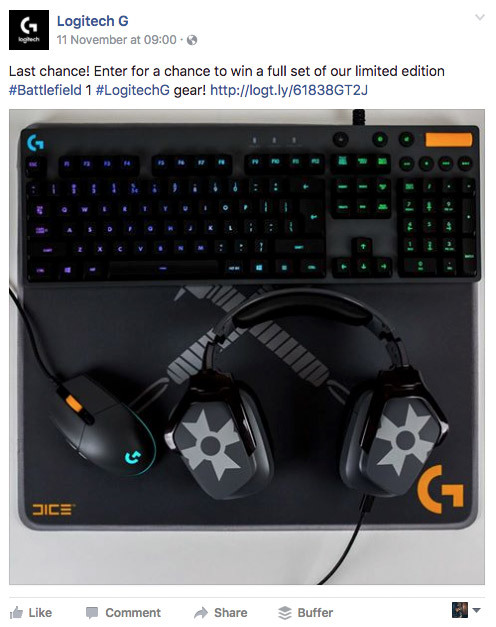 Once your contest is over, tag your winners (or some of your most creative entries) in Facebook posts. Not only does this extend the “lifetime” of your campaign, but the people tagged will likely share these posts within their circles. This serves the purpose of adding social proof and spreading word of your business. Dropping an entry or exit popup on your website or blog with a CTA to Like your Facebook Page can help you direct some of your non-social traffic to your social channels. Mention that you’ll be posting updates and discounts on social, making it easy for customers to stay informed on the latest products and promotions. Capitalize on the traffic other Pages in your industry get by commenting or otherwise engaging (Liking, sharing, etc.) with the content they post. Though it doesn’t guarantee people will see your Page or that they’ll like it, it’s a way to get your name out there while making connections and encouraging discussion with consumers in your industry. Tagging other Pages in relevant content on your Page can spur discussion and increase engagement for both of you. It’s a good way to get involved and let others within your industry know who you are - and you just might get some brownie points if you’re sharing their content. If you’d like to be more strategic about it, reach out to brands producing content you think your audience would like and ask to do a content trade! 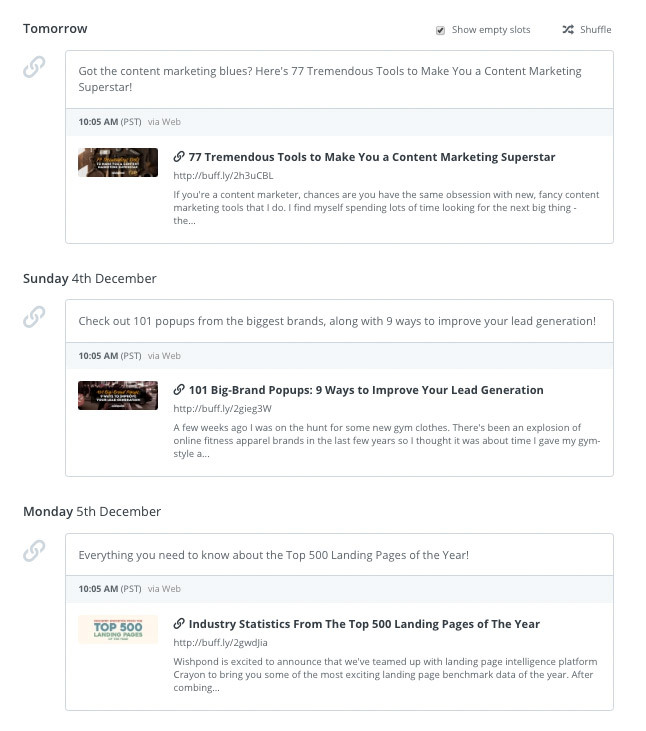 Share posts from each others’ page - this is an easy way to add new content to your calendar, while also helping to create partnerships and increase engagement. In keeping with working with other companies, running contests with other brands is a great way to generate leads, increase sales, and draw people towards your social channels. Look for brands within your industry whose products that complement yours - it’ll help you introduce your product to a targeted segment without stealing sales from your partnered brand. Many people - including me - follow Pages in case they offer exclusive discounts or coupons. 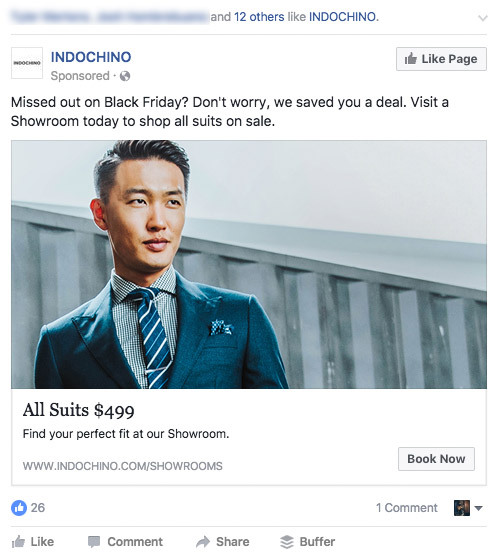 Periodically offering Facebook-only discounts is a sure-fire way to incentivize potential customers into liking your Page. 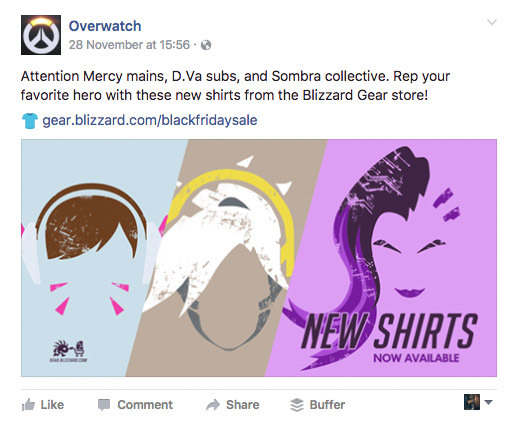 Make posts about these discounts (images, even videos) and change your cover photo to inform Facebook fans of these promotions. If you can handle it, offering full-fledged support on social media can be very helpful. Respond to customer messages for help with answers, instead of directing them to your support team - give someone on your support team access to your Facebook Page or link it to a platform like Intercom to make it even easier. People who have received good support in the past (or those who are likely to want support in the future) will Like your page. Your Facebook page shouldn’t just be a publishing platform for content - it’s a place where your fans, and customers (past, current, and future) should be able to connect and interact with you. Responding to your comments and messages quickly helps to show fans-to-be that your Page is a place they can get information in a timely manner. In fact, responding to 90% of your messages within 15 minutes will get you a “Very responsive to messages” badge - a sign that you have a great Page. Social media isn’t the same as email or direct customer support, and you shouldn’t treat it as such. Show off your brand’s personality in the way you interact with people who engage with your page by adopting a casual tone (depending on your business) or responding with GIFs or photos. 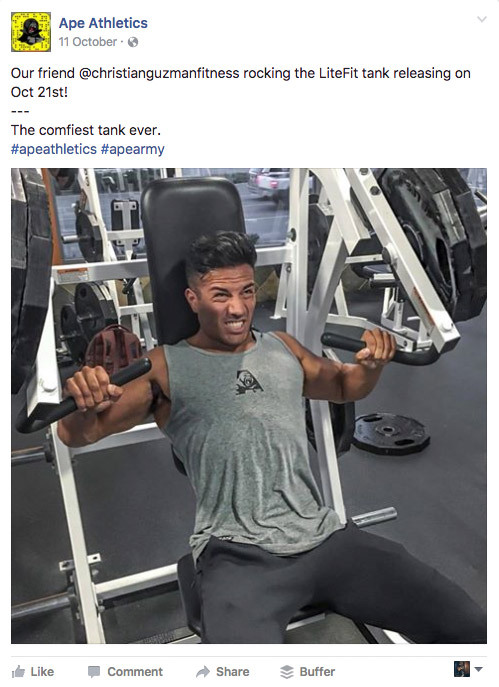 Don’t just respond to comments asking for help or service, either - respond to some casual comments as well to show fans that you’re on Facebook to genuinely engage. 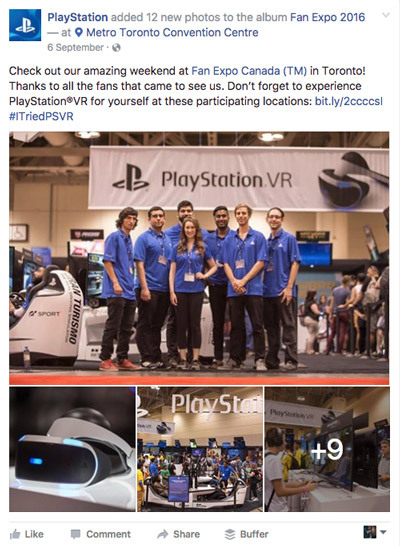 If your business attends or hosts an event, take lots of photos - and then upload these photos to your page, tagging employees and attendees. 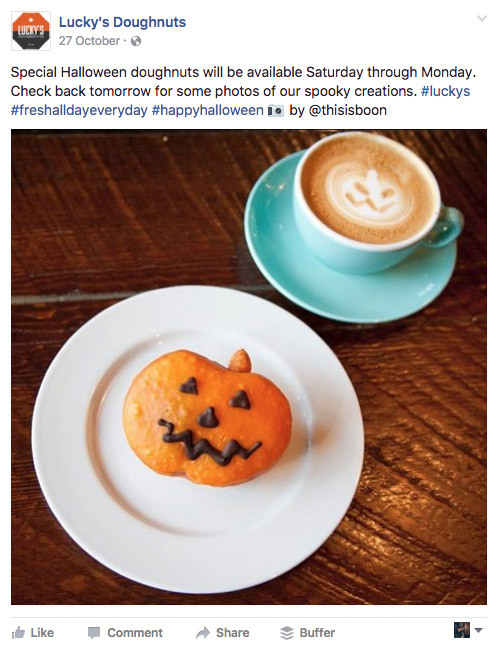 This helps your photos show up on their feeds, and their friends’ News Feeds, drawing more people to your page. Attendees who previously didn’t Like your Page are likely to do so as well. Even if your content is shareable, you’ll find engagement increases when you add a CTA saying “Share this post if…” to your posts. Many fans might not mind sharing it - but urging them to do so jolts them out of their indifference and pushes them to engage. A more tame version of this is “tag 2 friends who would like this post”. Either way, it helps your content reach more people - and that means more Likes. 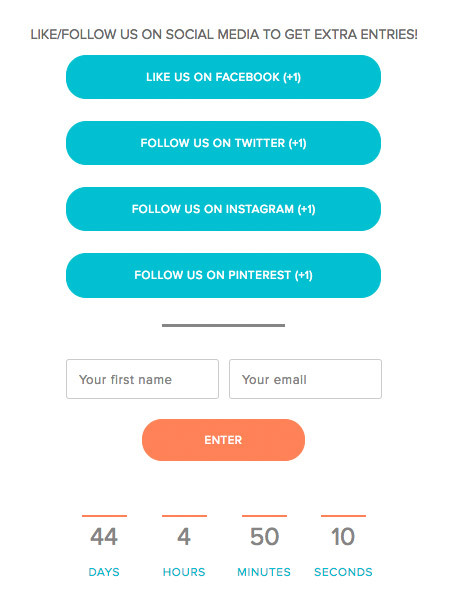 Though your contact page should still include an email or contact form, adding a section saying something like “Connect with us on Facebook!” can direct website viewers to your social channels. Depending on the nature of their inquiry, they might find social to be a better channel to connect with your business. 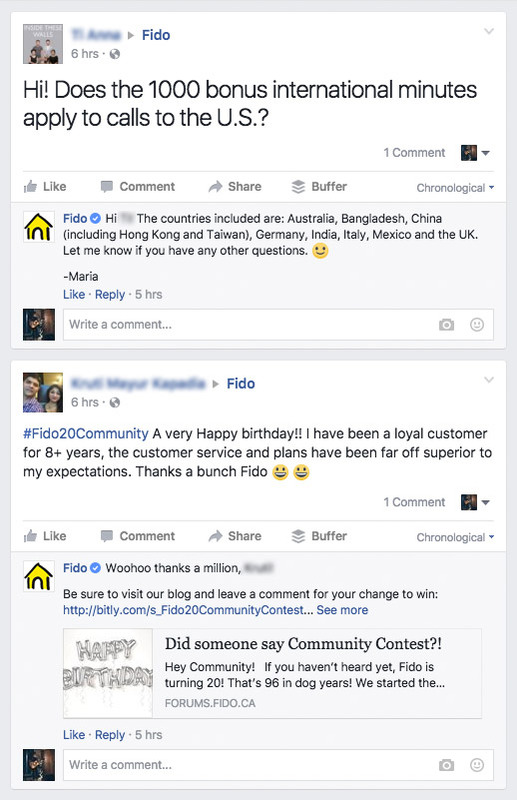 You can use Facebook’s Comments plugin to embed a comment box on your site. If you find you get high engagement in your comments sections and you’d like to direct that engagement to your Facebook profile, using the Comments plugin will do the trick. Just follow the steps on the page to get set up. 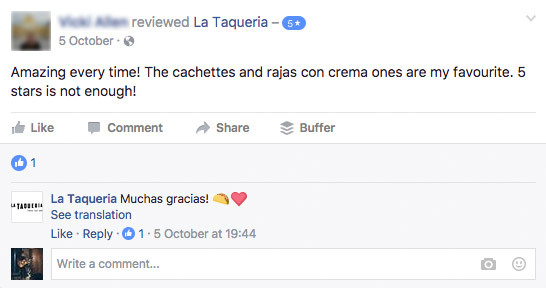 Reviews are now a big part of Facebook Pages - they establish credibility and help potential customers make purchase decisions based on others’ experiences with companies. Encourage happy customers to leave reviews after they’ve done business with you - this helps to pad out bad reviews and shows potential customers the benefits of your business and products. Reviews aren’t a place to argue with angry customers. Respond to all negative comments or reviews respectfully with the purpose of solving their issues and maximizing customer satisfaction. Unhappy customers tend to be more likely than happy customers to leave reviews, so chances are you’ll get your fair share of negative ones eventually - work towards solving their problems and encourage them to revise their reviews afterward. Okay, this will get you more Likes… but they won’t be targeted, nor will they be interested in your product. Likes mean nothing (outside of increasing social proof) if they’re not eventually going to become customers. It’s not a good use of money and it may actually decrease your Page’s News Feed rankings because these users won’t be engaged (in fact, they’re probably not even real people). Just don’t do it. There you go - 52 awesome tips that are sure to get you more Likes on your Facebook Page. Are there any I missed that you've found success with? Let me know in the comments below!